The Holidays are coming, a time to enjoy with family and friends. We think you all should try and relax, cuddle up in comfy chairs and go on fantastic adventures together. Enter deep dungeons and dark forests, travel into space and beyond and explore the alternate 80’s to solve mysteries together. Simply put, just have a magical time with your loved ones. Do it all in your own pace, in between unwrapping gifts and eating lots and lots of candy. Have a cup of hot cocoa with cream on top while being on strange quests in wonderous worlds together in tabletop roleplaying games. Here is a list of gifts that you can enjoy with your friends and family. Because that’s what we think the Holidays are all about. We wish you a magical journey into the unknown. Are you a brave adventurer that wish to enter Forbidden Lands? Do you long for a magical journey into the unknown? The time has come to make your mark on a cursed world. Wander the wilderness, discover lost tombs, fight horrifying monsters and build your own stronghold to defend. Forbidden Landsis a brand-new take on classic fantasy roleplaying and will release worldwide the 6th of December. The tabletop RPG Forbidden Lands was named one of the most anticipated RPGs of 2018 by EN World. In 1954, the Swedish government ordered the construction of the world’s largest particle accelerator. The facility was complete in 1969, located deep below the pastoral countryside of Mälaröarna. The local population called this marvel of technology The Loop. These are its strange tales. Simon Stålenhag’s paintings of Swedish 1980s suburbia, populated by fantastic machines and strange beasts, have spread like wildfire on the Internet. Stålenhag’s portrayal of a childhood against a backdrop of old Volvo cars and coveralls, combined with strange and mystical machines, creates a unique atmosphere that is both instantly recognizable and utterly alien. 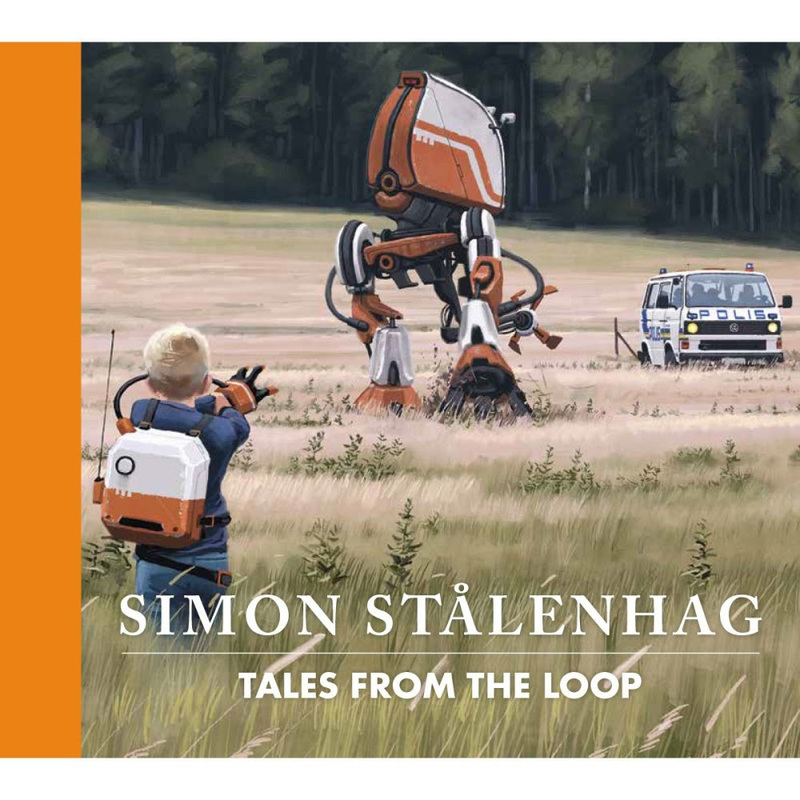 In the artbook Tales from the Loop, Simon Stålenhag’s paintings are collected in book form—together with texts that tell the stories of the youth who lived in the shadows of the machines. The Loop is now closed. Your life is returning to normal when the pastoral countryside is suddenly flooded by dark water from the huge abandoned underground facility. Rumors are spreading in your classrooms and in the schoolyard, stories about the flood and how it has brought something with it. One thing is clear: the past is not ready to be forgotten. 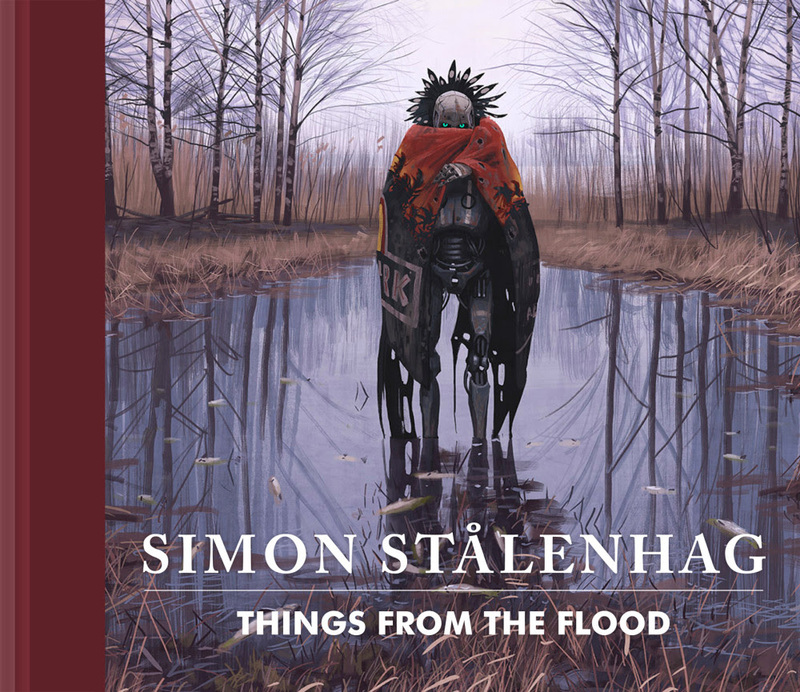 In Simon Stålenhags artbook Things from the Flood, the stories of Tales from the Loop continue, memories of a childhood infused with strange machines and weird creatures from other dimensions. In Things from the Flood, Stålenhag moves his focus the ’90s. These are tales of the trials of youth, of schoolyard hazings, of first kisses, of finding yourself – and robots. Tagged Free League, Fria Ligan, Press Release. « PRESS RELEASE – Update Your Favorite SRD for Fun & Profit!